The clean lines of this classic sterling silver box chain make a wonderful setting for your personalized Sorella pendant. Available in 16, 18, and 20 inch lengths. 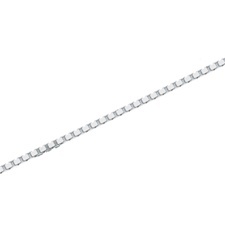 If you prefer, this chain is also available in 14K yellow and white gold.